Home > News & Blogs > Brain Injury > Treating Transient Ischaemic Attacks in children to avoid future strokes: What can be done? Treating Transient Ischaemic Attacks in children to avoid future strokes: What can be done? I work in the Child Brain Injury Team at Bolt Burdon Kemp, where I come across children who have suffered a brain injury from a stroke which has been misdiagnosed or not treated in time. In many of these cases, the child has suffered life changing brain injuries. Strokes are often associated with old or middle-aged adults, however, children are also susceptible to strokes and parents and healthcare practitioners need to be more aware of this to detect symptoms early on. As an example, we currently represent a 16-year-old boy who suffered a stroke, which was misdiagnosed by accident and emergency staff, who thought he was on drugs. This misdiagnosis led to a delay in diagnosis and treatment. It is stories such as this, that I hope to avoid in the future by raising awareness of the fact that children can also suffer strokes. Every 5 in 100,000 children will suffer from a stroke in the UK every year. The causes of stroke in children are different to the cause of stroke in adults. Children can suffer strokes as a result of underlying congenital heart disease or sickle cell disease. Infectious diseases and blood disorders can also trigger a stroke. My hope is that this article will make some contribution to raising awareness of transient ischaemic attacks and the available treatment with a view to reducing the number of subsequent fatal strokes in children and young people. A transient ischaemic attack (TIA) or “mini-stroke” is a temporary disruption in the blood supply to part of the brain. When this occurs the oxygen supply to the brain decreases and it causes symptoms similar to that of a stroke. Unlike a stroke, the symptoms of a transient stroke resolve within a few minutes or a few hours and in most cases within 24 hours. It is likely to be difficult for the patient or the people around the patient to differentiate between a TIA and a real stroke. 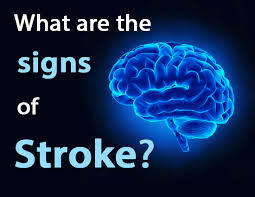 Therefore, the symptoms should always be treated as if they are signs of a real stroke. As well as the above symptoms, children may experience vomiting, seizures and occasional headaches depending on the type of stroke they have suffered. Generally, the symptoms from the transient ischaemic attack will resolve within a few minutes to 24 hours with no residual damage to the brain. The brain of a child is still developing and studies have shown that children can be left with permanent brain damage even if after the symptoms of a transient ischaemic attach have resolved. It is, therefore, absolutely paramount that the correct treatment and management of the transient ischaemic attack takes place to reduce the chances of a future stroke. Generally the medication prescribed for TIAs is aimed at reducing the risk of blood clots forming in the arteries. One form of this medication is called antiplatelet medication. Platelets are tiny particles in the blood which help blood to clot. A recent article published by Rothwell et al, entitled ‘Effects of Aspirin on risk and severity of early recurrent stroke after transient ischaemic attack and ischaemic stroke: time course analysis of randomised trials’ explores the management of TIAs with antiplatelet medication. Their research has shown that receiving urgent medical treatment following a TIA can reduce the risk of a fatal stroke by up to 80%. Aspirin is a type of antiplatelet medication and it is widely used by doctors and by the general public at home as it is available over the counter. Rothwell and his co-authors found that the administration of Aspirin following a TIA reduced the early risks of a recurrent stroke. Not only did it reduce the risk of a recurrent stroke, but it also reduced the severity of any recurrent stroke that did occur. The article stresses that if a patient is suspected to have suffered from a TIA or a minor stroke they should be admitted to a hospital and provided with some sort of treatment or advice on future care. Certainly, they should be given Aspirin as soon as possible following a TIA. It should not be left up to the GP to prescribe Aspirin at a later stage. It follows that when patients telephone their GPs or the NHS helpline, if a TIA is suspected, they should be advised to take Aspirin immediately and to obtain further medical attention. There can, however, be detrimental effects of taking Aspirin following a suspected stroke, such as intracranial haemorrhages, and so it should be taken with the advice of a doctor. Call an ambulance immediately. You should not wait to see if the symptoms will pass as the effects of a stroke can be life threatening. Generally, the earlier the treatment is received the better the outcome. How do the Child Brain Injury Team at Bolt Burdon Kemp fit in? In the Child Brain Injury Team, we represent minors who have suffered from a misdiagnosis or delayed diagnosis of stroke. Our clients range from children who developed symptoms of a stroke and attended a hospital, but the stroke was not diagnosed, to others who were discharged when they should have been admitted and treated. There may also be people who have suffered from a TIA and attended a hospital, but were discharged with no treatment, when in fact they should have received medication. If people in this situation, go on to suffer from a stroke then they may have a claim. In the Child Brain Injury Department we act exclusively for children who have suffered brain injuries, including strokes. Our Medical Negligence Department have vast experience of acting for adults with stroke related Medical Negligence Claims. As a firm Bolt Burdon Kemp, are committed to raising awareness of the symptoms of TIAs and strokes in the hope that more people of all ages will recognise the signs and seek urgent medical attention immediately to treat their symptoms. This may reduce the risk and severity of future strokes. Where this has not been possible we strive to seek compensation for people who have suffered avoidable injuries arising from medical negligence to meet amongst other things, their treatment, care, housing and therapy needs. I am a Senior Associate Solicitor at Bolt Burdon Kemp specialising in Child Brain Injury claims. If you or a loved one have suffered an injury as a result of someone else’s negligence or you are concerned about the treatment you have received, contact me free of charge and in confidence on 020 7288 4843 or at claudiahillemand@boltburdonkemp.co.uk for specialist legal advice. Alternatively, you can complete this form and one of the solicitors in the Child Brain Injury team will contact you.